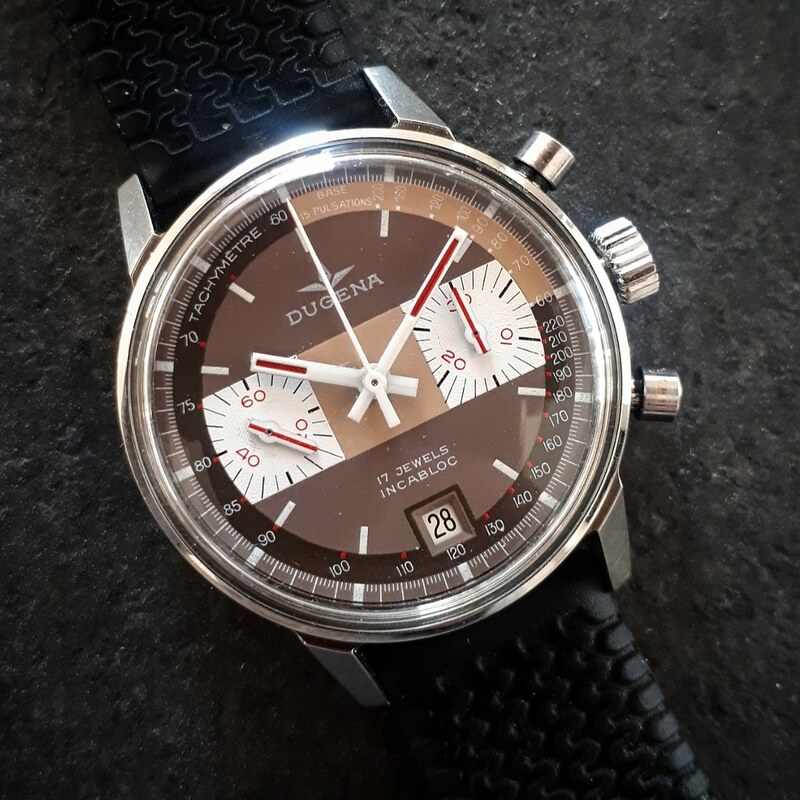 For sale is this beautiful dugena chrono with valjoux 7734 movement roulette date. Watch is like new. It has been controled and oiled by my watchmaker. It running correctly and keeping good time. Really nice 70's design. I'm asking 1150€ by paypal or bank wire.